Before you purchase a notepad, please spare a thought for all those notepads who need YOUR help to become successful marketing products! I live at a desk between the phone, a scattering of pens that don’t work, three paper clips, and a picture of some guy’s wife! 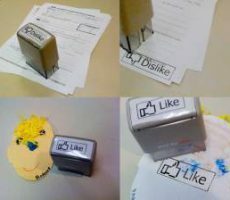 I have to confess that I’m quite a plain and boring piece of stationery! My complexion is pale and white and I am completely devoid of any color or interesting features! What upsets me the most, is that I’m stuck here at this desk all day, doing very little and impressing no one! But I have such potential! If only someone would give me the chance, I could be one of those colorful and cool notepads that really go places! You might have seen them! They go to business conferences and schmooze with big clients. They get to visit other businesses and hang out at big fancy desks, and people are always really impressed with their good looks and hard-working attitude. They’re sociable too. They are the sort of notepads that are always welcome in people’s homes to inform them of the best pizza to order and the most convenient stores to visit. And talk about multi-tasking! I’ve seen them helping people write prescriptions, take receipts, and showcase their sketch art. I, on the other hand, am not a multi-tasker! To be honest, I’m not even very good at the one job I’m supposed to do. And because I’m so dull and colorless, I tend to go missing a lot when people really need me. I’m also not a particularly good communicator! Those other notepads with their fancy logos and graphics on them are so great at advertising. They communicate their business message really well! Whereas, I tend not to say anything at all, especially at important meetings with big clients and potential customers! So, my message to you is that you can make a difference, and save a notepad from this lonely and blank existence. 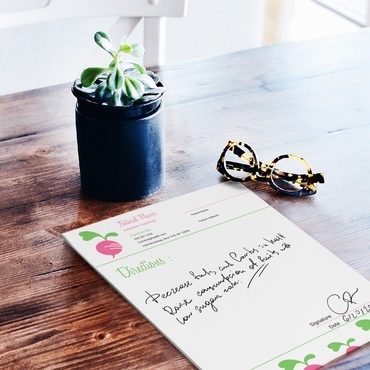 It’s really easy to do, just go to OvernightPrints.com and create your custom notepad by uploading your notepad design! 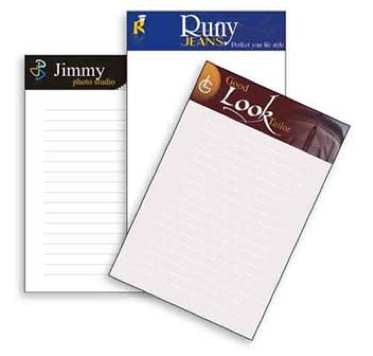 Help Notepads fulfill their great potential as successful marketing tools that promote your company and business name! 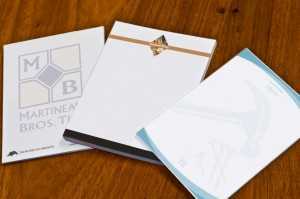 Set a notepad free with your logos and graphics. A custom notepad is the ideal product to give to your customers so that your number and business message are always in view.